Where does one start? With the Start-Project! 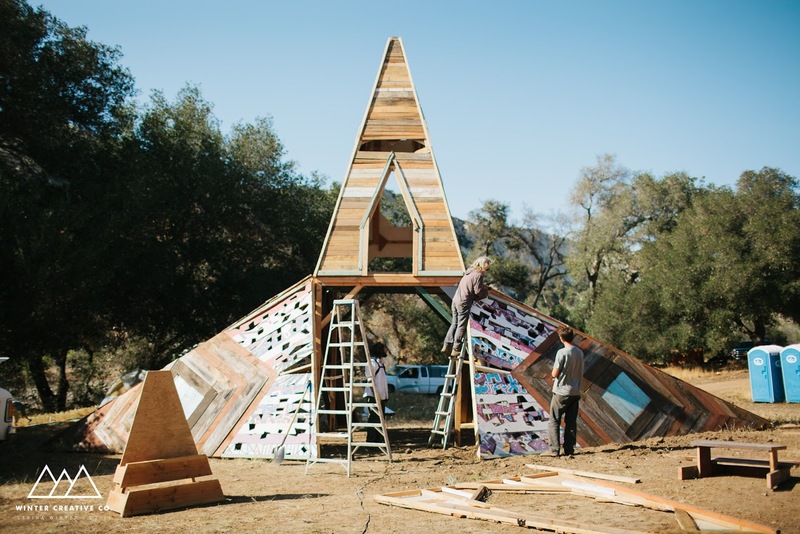 For those of you that have enjoyed the merriment of Lucidity Festivals, you may remember the eclectic and intriguing installations of Nomads’ Nook, tucked away at the bottom of the hill. For those of you who are wondering what it’s all about, Nomads’ Nook is an area emphasizing individuality, radical self-reliance, efficiency, and up-cycling. Packed full of interactive art installations and euphoric electronic dance music for the entire festival, Nomads’ is meant to offer a place to be yourself and think deeply about the way we can each effect the planet and each other, in positive ways. Perhaps you wondered who could be behind all of it? Why did they choose to contribute to the festival? What did this project mean to them? What was their message? With all of the incredibly long hours, teamwork and vision put into the installations each year, it has become immensely important to record the narrative and details behind the adventure in Nomads’. Hence, Start-Project, a community offering skilled, conscious builders and passionate citizens of the planet, was born. The team includes all kinds of artists each with unique backgrounds including: media design, creative writing, photography, fine painting, sculpture/fabrication, lighting design and so much more! The team working tirelessly on the quirky and innovative structures of Nomads’ Nook now have a name and set of ideals to translate to the larger community of Santa Barbara, California, and beyond. 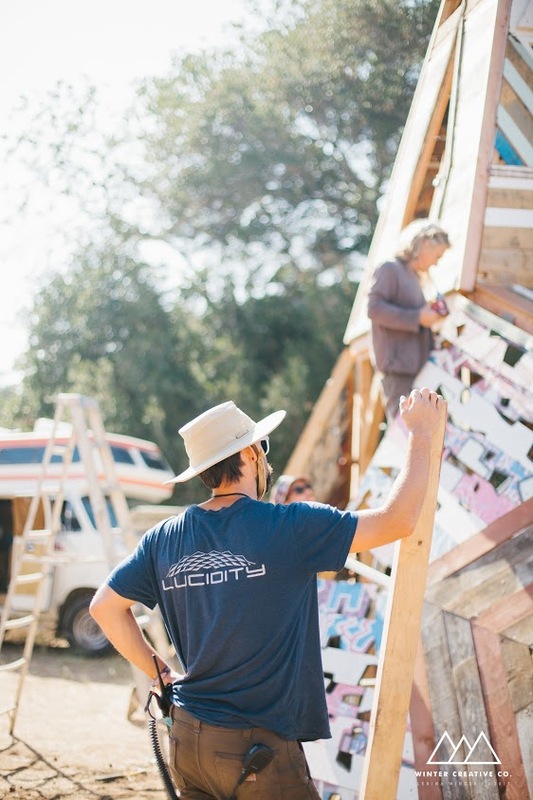 Showcasing the ideals behind up-cycling, permaculture, creativity and teamwork at Lucidity Festivals this year, Start-Project hopes to move beyond the festival and contribute to the community in mindful ways. Thus we are open to contribution from anyone who wants to join the team. Whether it be a donation of time, space, materials, art, or insight, Start-Project looks at all contributions as a way to expand its diversity. So what can you look forward to this year during your adventure in Nomad’s Nook? Well we won’t ruin the surprise completely, but we can tell you that meeting with the spirited crew we have the pleasure of working with this year, we can bet you will leave with a transformed view of everyday waste, and we hope, an enlivened sense of creativity.